When I was a kid, we had a hodge-podge of skillets crammed into our lower kitchen cupboards and in the drawer beneath our gas range. They were used and abused and to this day, I remember the champs! We had two heavy-duty cast iron skillets. One was square with an additional handle, to help lift the thing, and the other round and black as could be, with a slender handle that seemed too small for its circumference. We seasoned them with oil and a long and low temperature bake that cured them for anything they might face. Clean up was quick with a rub and wipe of coarse salt. It was a sign of domestic failure to have a rusted cast iron skillet and a culinary triumph to keep them black, blemish free, and ready. Cast iron is still the same. 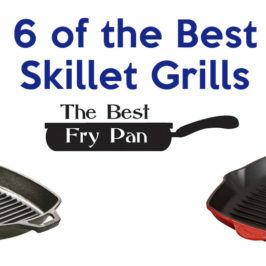 It is durable, heats evenly, can be used on stove top or in the oven, doubles as a griddle or grill and even adds a bit of iron to our foods. It can sear, sauté, fry, boil, broil, roast and bake. It’s hard to kill cast iron. It’s great for one dish meals like casseroles, hashes, frittatas and pastas. It’s prime for oven mac and cheese, lasagna, deep-dish pizza, potpies, cornbread and giant cookies. 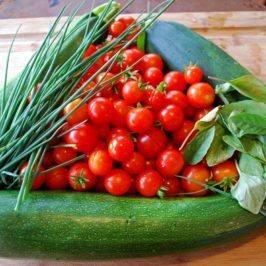 What’s not to love about such a versatile, inexpensive and generationally enduring cast iron skillet? 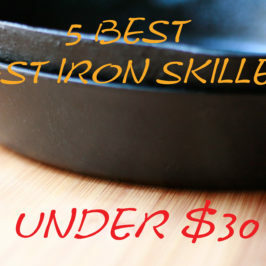 Although they haven’t changed much, and why would should they, we have more choices then ever when choosing the best cast iron skillets. The Lodge Cast-Iron Skillet, 12-Inch has an extra easy lift handle and two pouring spouts. 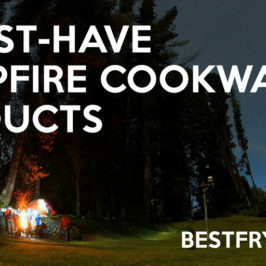 It loves campfires, stovetops, ovens and induction cook tops. It comes with a red, silicone hot- handle holder, which glides on and off, offering a cool, comfortable and supportive grip. It cleans up quickly with a hand wash and wipe of oil. The Emeril by All-Clad E96407 Pre-Seasoned Cast-Iron Skillet takes heat up to 600 degrees, comes pre-seasoned with an extra long handle and thumb grip. It’s PFOA and cadmium free, with a lifetime warranty and instructions for seasoning, which makes it a great pass-down for years to come. 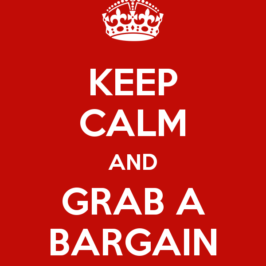 It’s also as easy on the budget as it is to preserve. The Le Creuset Signature Iron Handle Skillet is made with enameled cast iron construction, a large ergonomic helper handle and trendy red exterior is a great choice for stain resistance and minimal wear and tear. It requires no additional reasoning and cooks well with just a little oil. It costs a bit more, but serves long and looks great in today’s modern kitchen. 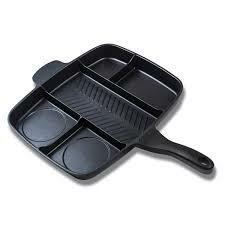 The Staub Fry Pan is made of multi-coated enamel that requires no seasoning to retain peak performance. 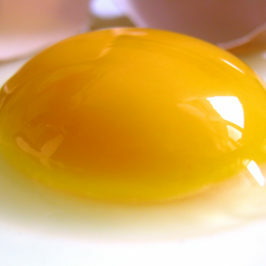 It’s smooth on the bottom and roughly textured inside to evenly distribute heat and provide expert browning. The best utensils for this pan are plastic, wood and nylon since metal may damage its enameled surface.